Inspired by the beauty of Flatford Mill in the heart of Constable Country, the Flatford Summerhouse features a characteristic overhang & cross leaded windows. An old outbuilding at Ickworth House in Suffolk was the source of inspiration for our chalet-style Ickworth Summerhouse, which also features an overhang and apex roof. Our corner Orford Summerhouse was inspired by an outbuilding at Orford Ness, situated on the estuary near Aldeburgh on Suffolk's Heritage Coastline. An outbuilding at Lavenham Guildhall, in the heart of Suffolk, provided the inspiration for our Lavenham Summerhouse, which features an apex roof and cross-leaded windows. 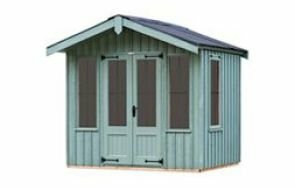 A Range of National Trust Summerhouses to suit your needs. Designed to meet your exact requirements in terms of size and specification. 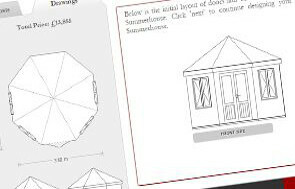 Click here to download our Summerhouse brochure. 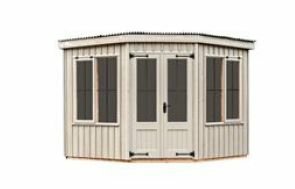 Inspired by ages gone by, but using modern techniques, our National Trust range of Summerhouses is affordable and beautiful. It is a real gardener's space, with traditional design features and attractive colour palette to suit any garden. The buildings are hand-constructed from FSC® certified timber, sourced from a sawmill in Northern Sweden. Each of our Summerhouses are themselves FSC® certified, complementing our company's environmental policy wonderfully. The buildings are manufactured in West Norfolk at our factory HQ in Narford, near King's Lynn by our team of specialist carpenters and joiners who build each building from scratch, to ensure an exceptional build quality. 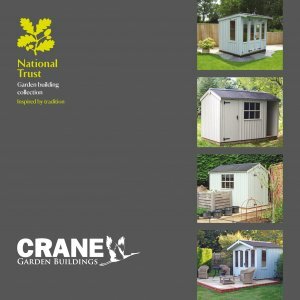 We took our inspiration for our Summerhouses from the outbuildings of National Trust properties located in East Anglia. We have created four traditional designs, to suit differing style tastes, garden sizes and shapes. 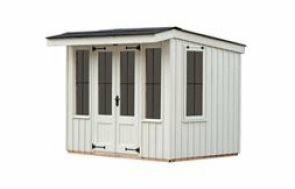 These summerhouses will nestle in any garden, are low maintenance and will provide a wonderful place to enjoy relaxing days in throughout the summer months. 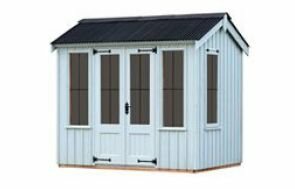 Our National Trust Garden Sheds offer a more functional range of garden buildings but still in the familiar National Trust style.